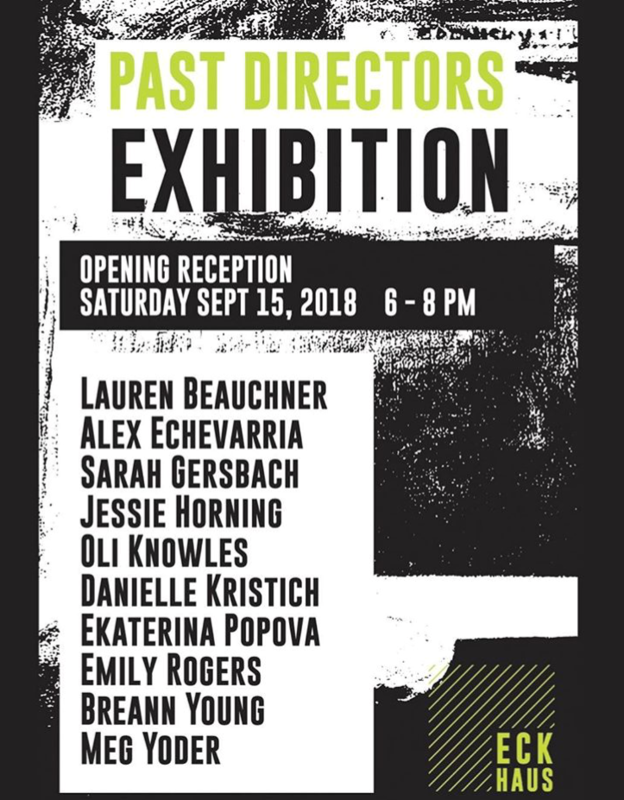 This week is your last chance to see the Eckhaus Past Directors Exhibit. These three works above are soon coming down and hopefully moving on to another show I applied for. Fingers Crossed! 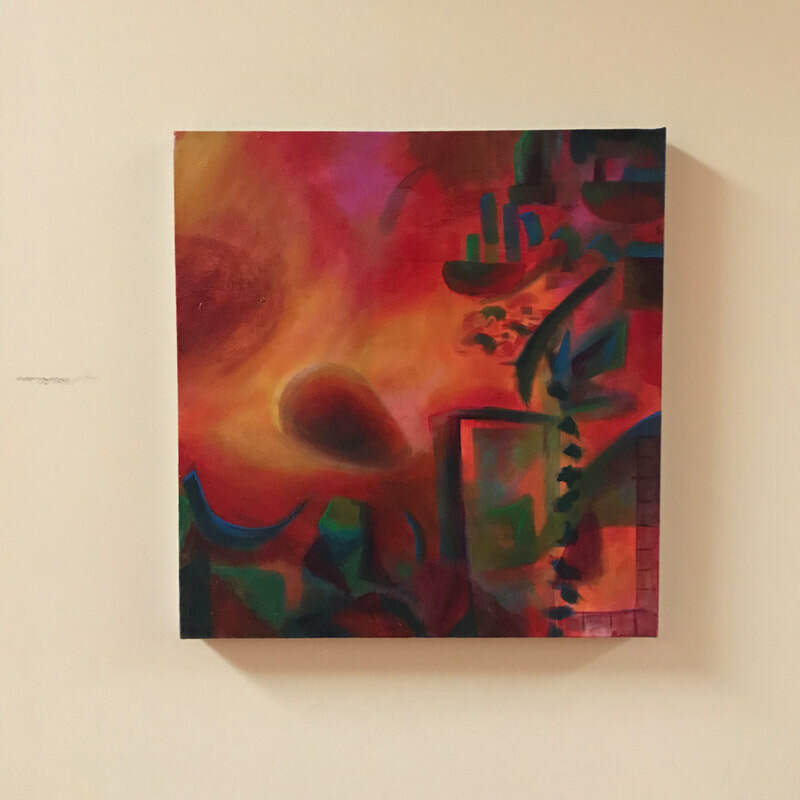 However I have some other works on display at the Franklin Commons Art Gallery in Phoenixville. The works below are on display from now until the end of winter. Don't miss your chances to see these works in person. Throughout my years of painting in classrooms I found myself being asked if I had a vision problem. From tilted still life drawings, over saturation of color, and high contrasts I found myself unable to stop what came naturally to me. I do have poor vision which I feel influences my need to exaggerate the colors I see. With color as my primary focus, I also tend to gravitate towards a tactile approach as well. 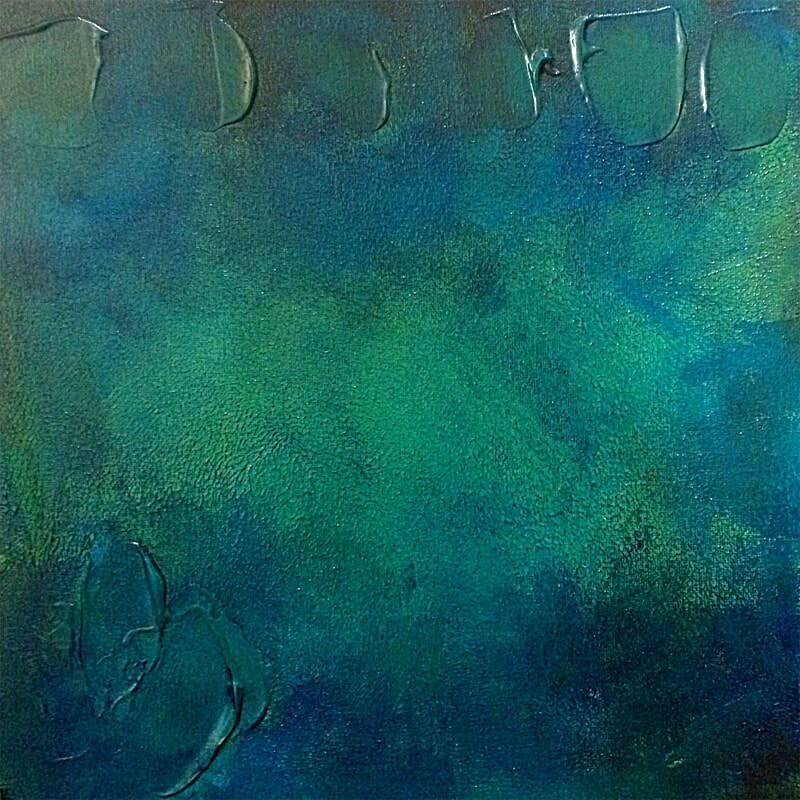 When creating an abstraction I add texture to better communicate shape and depth. In recent works, I have been adding even more textural elements through sewing and bead work. I had a short hiatus for my wedding but now I am back at it in my "studio". I say that in quotes because I still work where ever there is space for me and my mess. I have been working never the less. Lately my work leans towards my love for fiber, texture and collage. I have been beading and sewing through the canvases creating my tactile abstract images. Above are two images of completed work that incorporate my paintings and sewn on additions. I take inspirations from my daily surrounds working at a beautiful outdoor garden. Looking at the color from plants and scenes around me I can alter an re-create the feel of the environment. On the left is Abstracted Sea and on the right is Abstracted Storm. Below is a work in progress that is inspired by the gardens. Here are a few close up images to help better show the finer details that cant be seen unless you take a closer look. 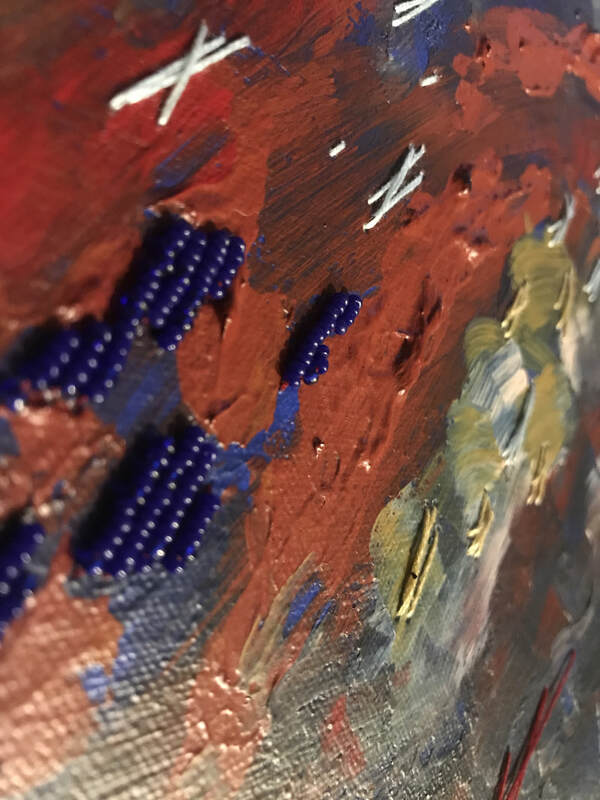 I enjoy these details staying small and not as noticeable from a distance because I feel that is how nature is and nature is the primary inspiration for these paintings. New mentioning's and projects after the new year! Looking for the right piece of art? Here is how I can help: Get a commission from me! Not sure if I can do what you want? Just ask! 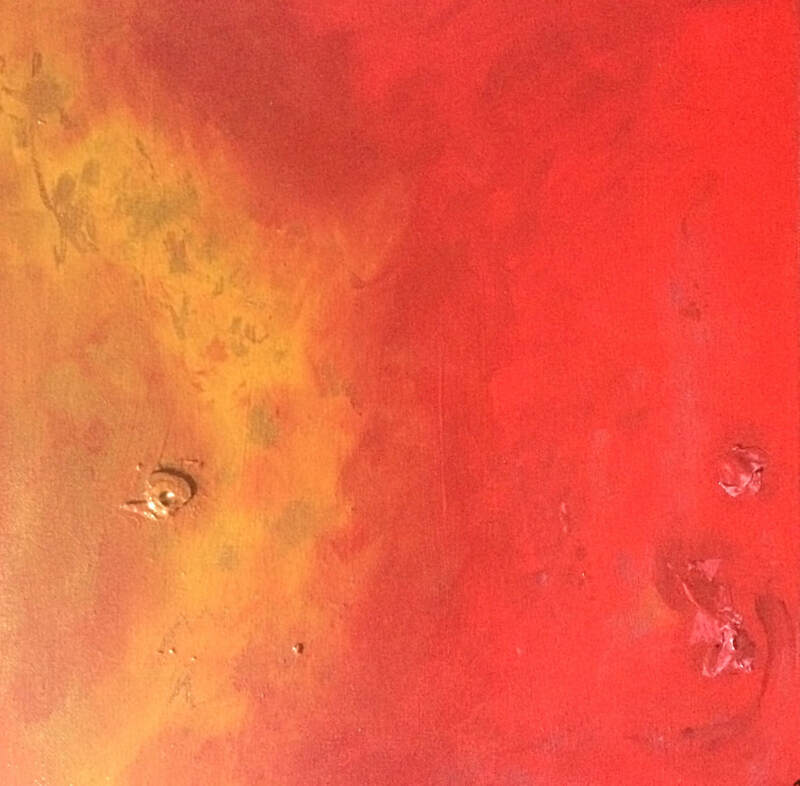 I am willing to create many things however I am an abstract painter so please no portrait requests. Note* only so many artworks can be completed at a time so if you have a deadline for a gift then you need to contact me ASAP. 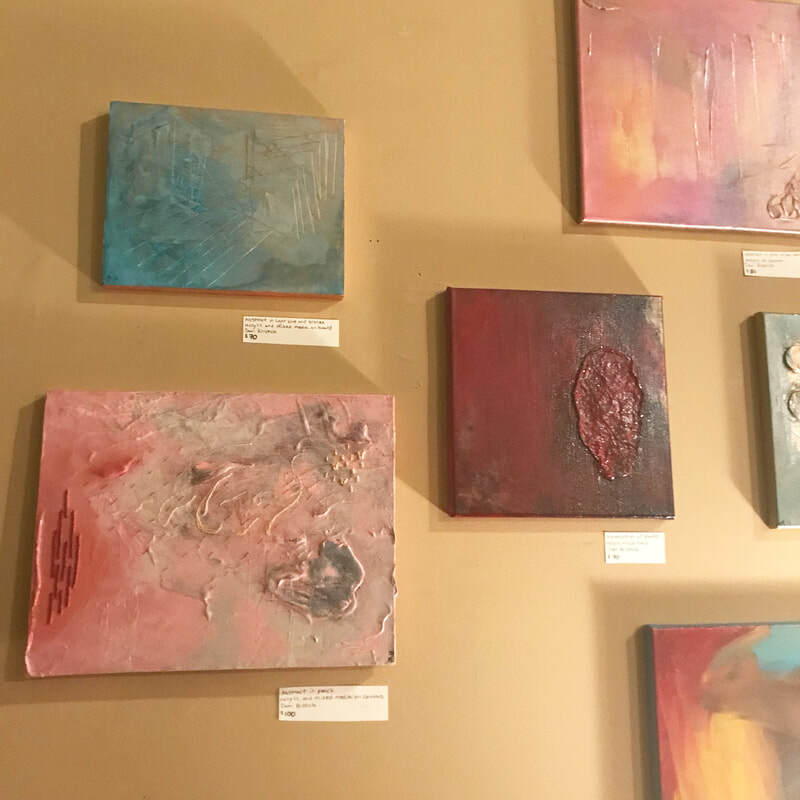 Don't miss out on your chance at buying original artwork! 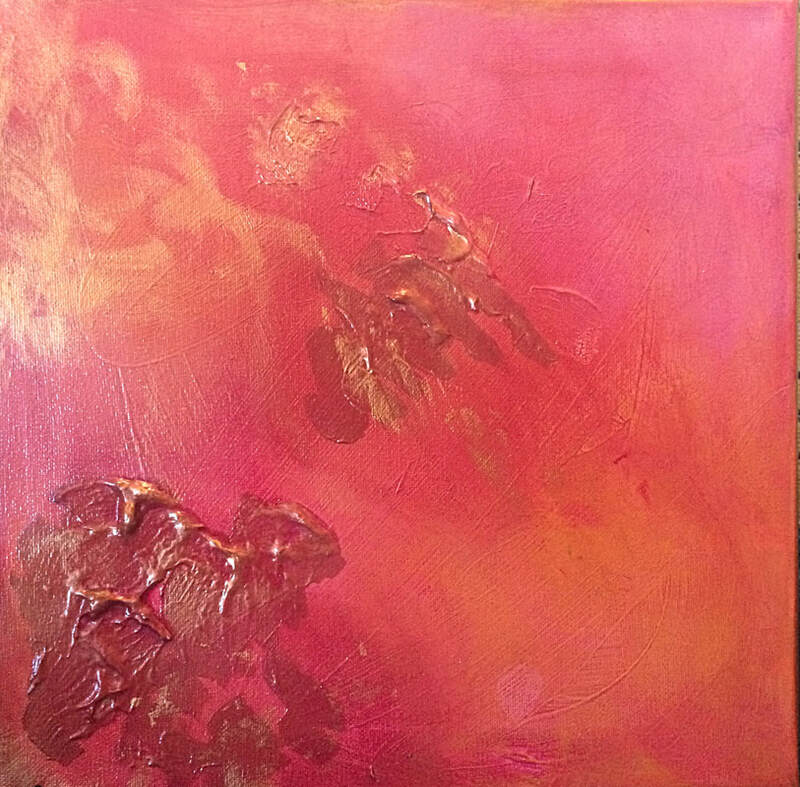 All abstract paintings of many sizes will all be for sale. Prices range from 15$-375$ and are priced as marked. Love the style but it's not quiet the right fit? ​Set up in person or by email and I will set up a step by step plan to getting you that painting your home or office space needs. I would like to take a minute to go back over last years shows and give a brief synopsis on what I thought was a success and what failed. In 2016 I graduated in May and only participated in one Fine arts fair, Crafts in the Meadow 2016. In 2017 I decided to sign up for a total of three shows, still taking things slow I didn't want to sign up for too many shows for fear of putting out more than I would be making. So I did better research and carefully picked my three shows. One of which has yet to be completed, as shown above. So how did the first to go and what are my plans for the 2018 year. I am certain I already made a fuss about this show previously but I will go into it a bit here as well. This was not a show I care to do again. It all started with day one when I went to set up and they re-arranged the layout of the vendors. Thinking it was "a better flow" I soon realized the coordinator obviously didn't get what that meant. The new set up actually hurt business for the six of us he moved. We were out set to the edges in an odd corner set up. The entire two days where full of slow foot traffic and confused patrons not knowing where to find us. The local business's were not even told where we were. I had countless friends and family members who said when inside the village and asked where to find the artisans most people had no idea. To top it off they had 0 overnight security which means that all the art had to be removed and re-set both days. When I choose to pay for a booth I expect: good set up spot, some advertising on their part, overnight security, and be around and available to help resolve things when needed. I am not sure where my money went for this show but I sure wont give them my money again. Over all the weekend was great weather but bad service, bad attendance and low sales. This is to be expected when testing new show locations, you wont always get the right fit the first time. This show was interesting. I applied to this show as an emerging artist so when accepted I didn't have to pay. Which was great because I had never been to this location before. I have heard great things about this show overall so was very excited. I got in and went to the show with high hopes. I had a great location and there was tons of traffic. Weather was perfect and people where walking around with items that they had bought which is always a great sign. However I did decent, but not decent enough to go back and pay for a booth. I walked a bit after day two and tried to get an overall estimate on how well my fellow artist where doing. To an odd shock, It was a 50 - 50 split. Half f the artist did great and half did just enough. Luckily no one (except for maybe one I spoke to) came under in sales. It was a great show and one day I will try it again but I am not sure If I will go back next year, just didn't quiet make my cut. So far my best show has still been the 2016 Crafts in the Meadow, which is why I am very ready to go back this year! I dud very well here and can't wait to take it on again, hopefully this one comes out above the rest. If not I ill have to seriously take a look at what went wrong this year and possibly make some changes. I have been also focused on applying to some art shows this year to keep putting my work out there. I am now most focused on launching my Patreon page. You will have to stay tuned for that however because I do not want to share too much before the big reveal. ​Why is storage an issue? 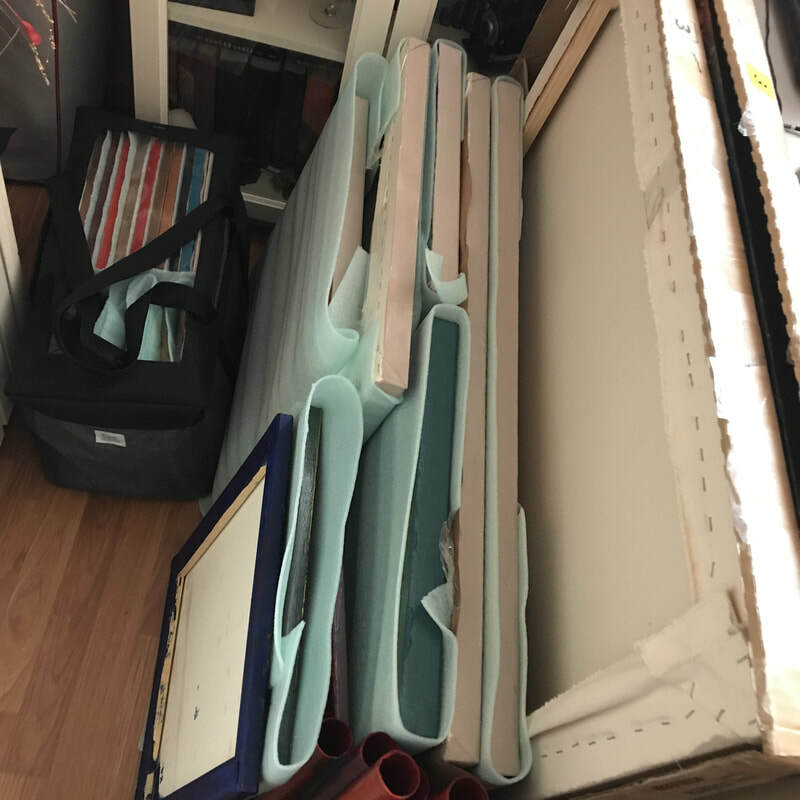 ​Storage can be an issue for many working artist. It tends to be an issue for a few reasons. For example maybe you make too much art, if that’s a thing. Or maybe not all your art is selling. You also may not live in a mansion or a place with tons of extra space. So if finding space or making space is necessary then this is the post for you. ​How do I do it? I have taken old art and made it new many a times and even have a new plan for some of those “intro to drawing” papers I still have. With that I still take up a lot of room. 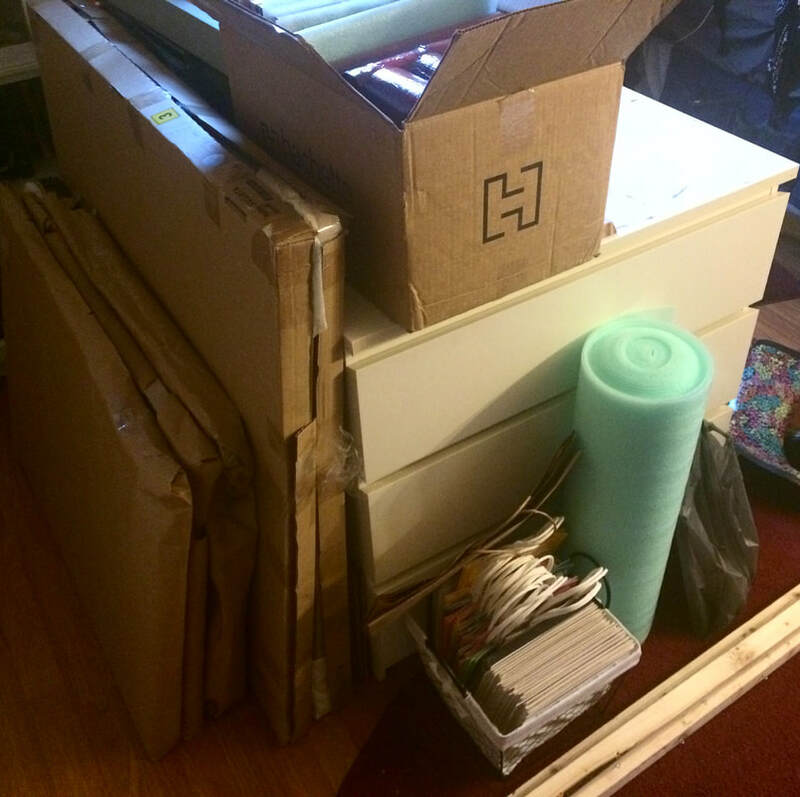 I have taken up my entire closet for storage of art and even have a place in the attic for the rest. 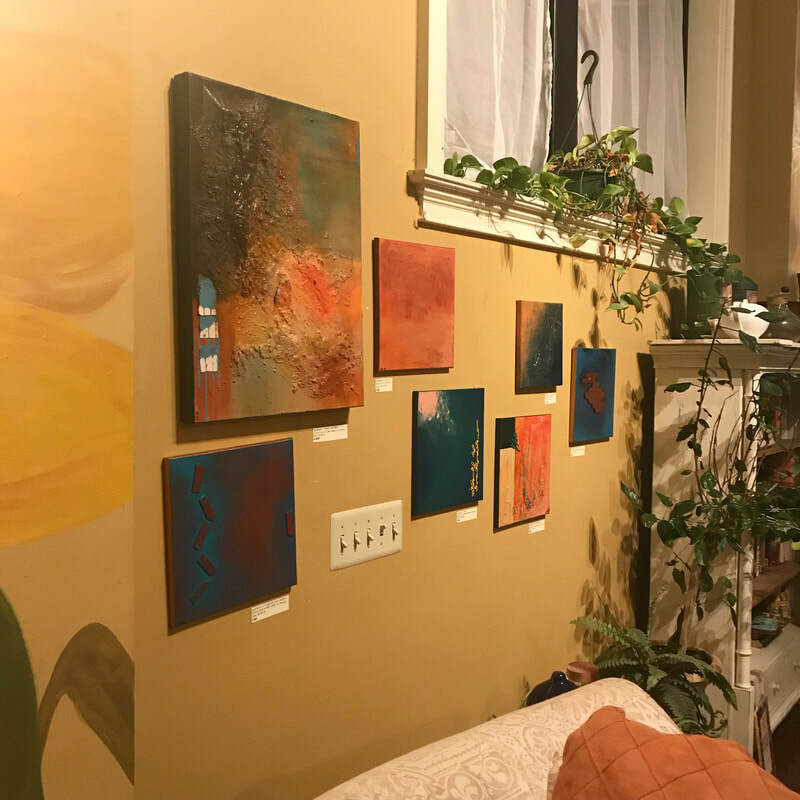 I also have waves where I slow down the amount of art I produce to make sure I sell what I need to before creating more. This never really leaves me with a storage solution but it helps keep what’s full from getting full-er. ​So how do you store it? 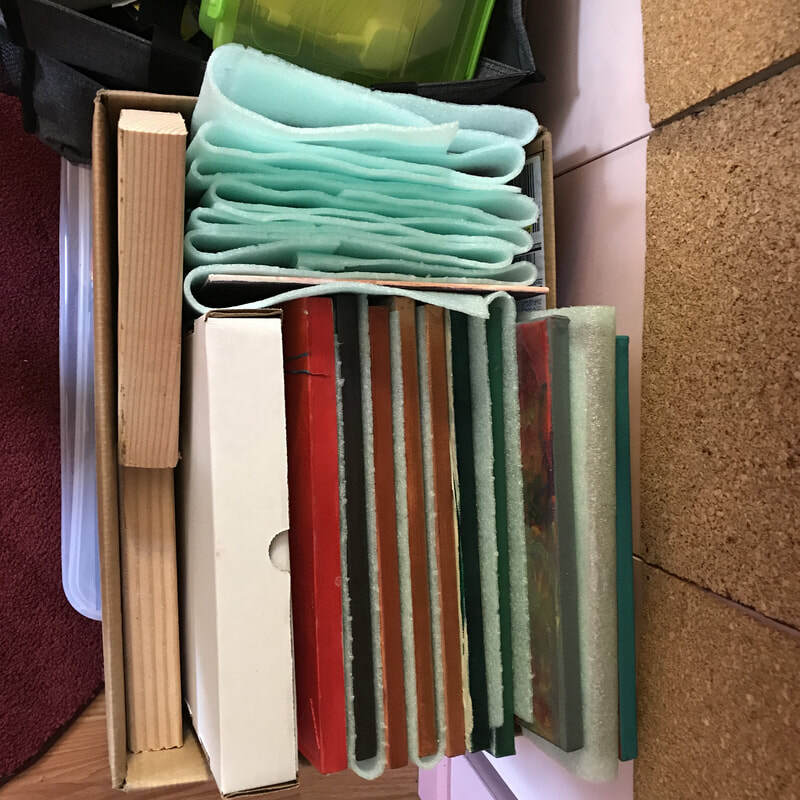 ​Let’s talk about how you found storage solutions. Post below in the comments! Also remember that I am no genius on any subject and I understand there are many opinions and solutions to these topics, I simply share from what I have learned and experienced. For more detailed posts subscribe to my Patreon page by searching Crit-ket which is set to launch at the end of October !! There are three questions I always ask myself when looking for a show to participate in. First question is what am I getting for the cost of the booth? Second, does the price sound right for my art? Lastly I ask myself is it my crowd? Asking these questions have helped me sort through the shows I do, because I can't just go and apply to every show that comes my way. This wouldn't be beneficial to my sales and it would probably cost me more in the end than its worth. 1. What Am I Getting For The Cost Of The Booth? This is something I learned along the way. When you participate in a booth show at a fair or festival the cost of the spot is not free, this should be obvious but some people think its always free and its not. Every show is a different price, usually based on popularity or work put into the show. However you should expect that your money is going towards something that helps you too. 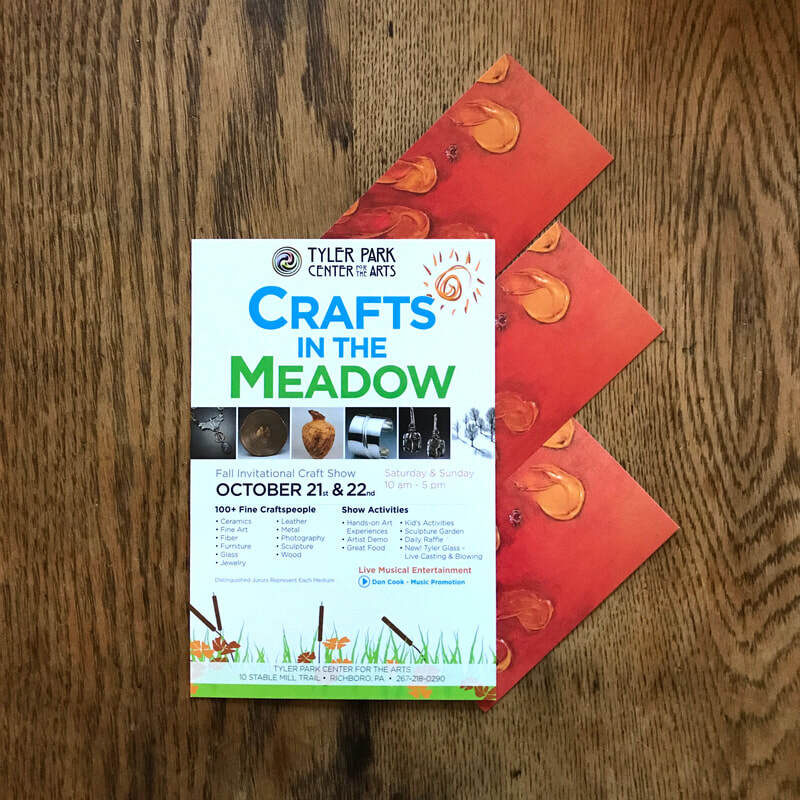 For example Crafts in the Meadows and Mount Gretna have over night security, booth sitters (in case you need a rest or, you know, pee! ), and sometimes even discounts on food over the weekend! They both also do lots and lots of advertising which bring people in to the show and the more people who visit the more buyers you will bump into. These extras are what some of your money is going into, so for these shows I don't mind paying the booth cost because I actually get a lot out of it. Peddlers Village however is a show I will not do again. They have no security, no booth sitters and did poor advertising for the vendors. I felt a bit robbed by them honestly. Find shows that work for you not take advantage of your money. 2. 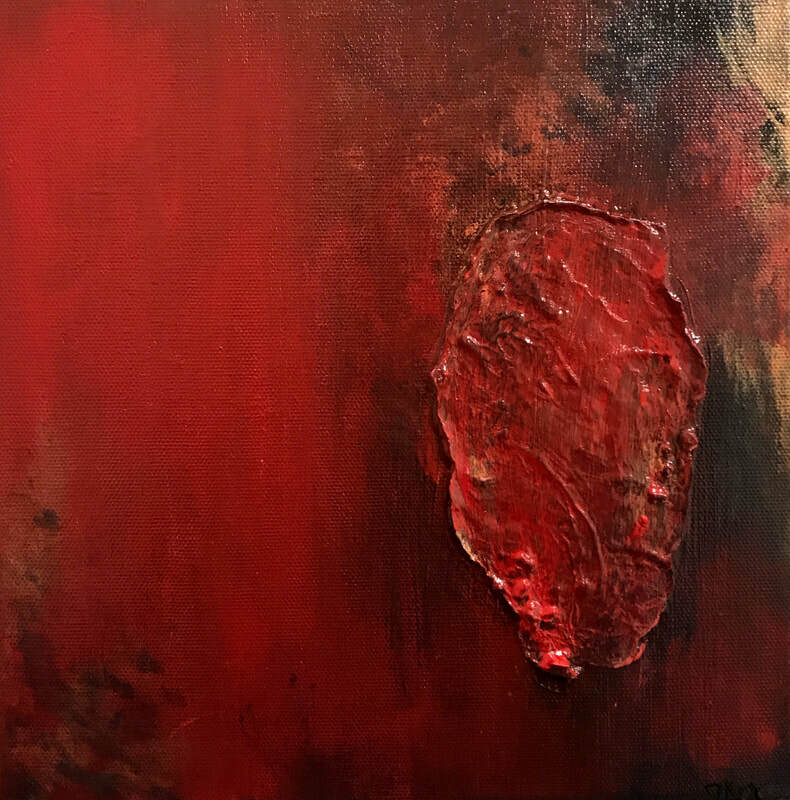 Does The Price Sound Right For My Art? Now that you found what the show offers you for the price it's time to consider if the price is still right for you and your product? All vendors, and art vendors especially, have very different items to sell. For me I tend to call for a market of people who tend to purchase fine arts or original arts in general. 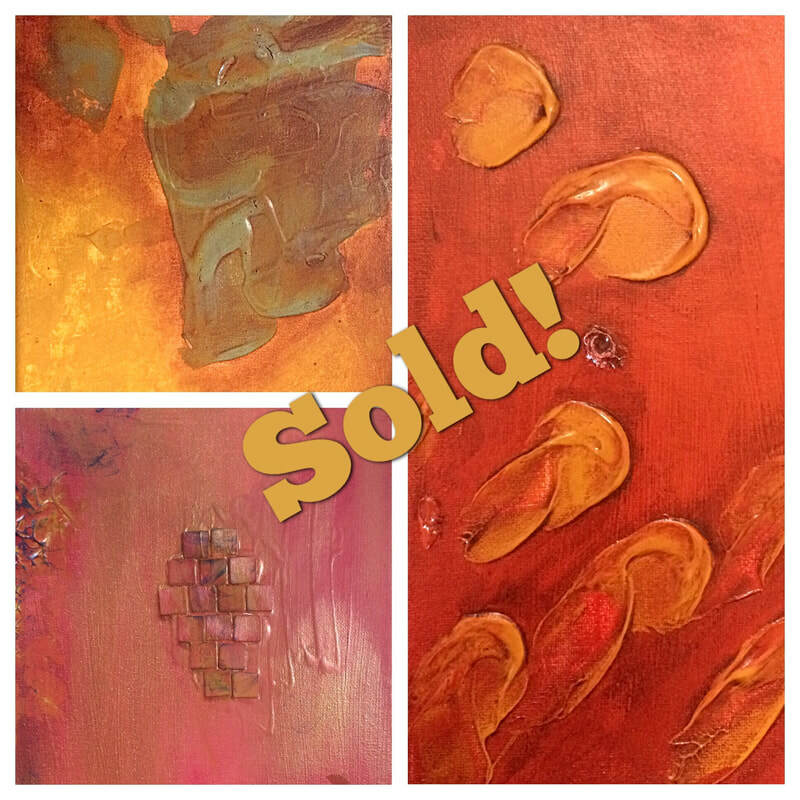 I find my big sales went to people who where out looking for art for their home. I occasionally get a handful of impulse buys from those who fell in love with a piece of mine. This means I need to be sure that the audience arriving to these shows I pick are the audiences for my art. Example: I can not go to a fair that is primarily food and product vendors because their price range and audience is very different. In the end I need to be sure the crowd is right so I can earn back the costs for the booth and the supplies for the weekend as well as still make a decent profit. Sometimes this is hard to tell so you have to find out the hard way or make friends. I found that the more vendors at shows I became friends with the more we shared and learned with each other about what shows work and don't work. I have been to shows where I only just came above breaking even and its not the best weekend, but this helps me to pick places in the future. 3. Is It My Crowd? 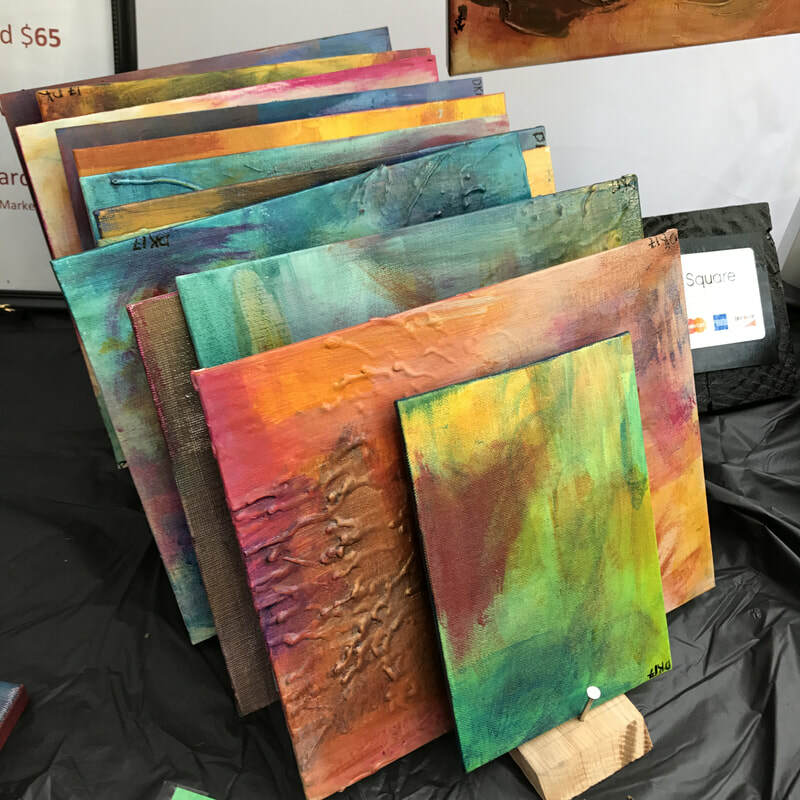 Avoid selling art at a fair that is not for fine arts, fine craftsman or artisans. This is a trap and you may get lucky but why risk that? I will not go to just any show that offers all vendors unless I know they are known for that and separate the booths by category. This again can come back to the fact that you must consider your audience and the types of buyers that will come to this show. If its a fair for a school fundraiser and they have all kinds of cutesy house decorations, chances are those buyers wont spend the price you have on your paintings. This may be just my experience but I sure do not have an audience for those types of fairs. Just all questions to consider, but please if you take away anything -note: look into shows carefully and Always talk to your fellow vendors for opinions! ​Then its good luck and waiting for letters and emails in the mail! To re-iterate this is just all from my experiences so please take it with a grain of salt, what worked for me may be the opposite of what works for you.